The game App is a fun and interactive tool to find games that can be used in practice by animators and youth workers. 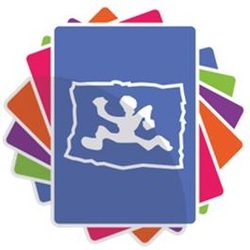 The App consists of a unique collection of over 240 games to inspire group activities. After indicating which type of game, age category and how many players there are you click the search button for a variety of possible games. Or you can shake your Smartphone for a random game. At first this application was only available in Dutch by DBYN's member organisation ‘Jeugddienst Don Bosco’. With the support of our German, English and Irish members we are now able to present this Englisch version. Use the buttons to download the ﻿ link below.